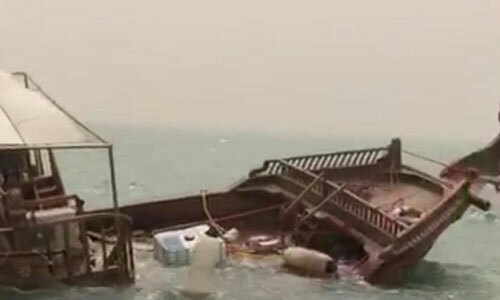 Marine firefighters rescued six people who were on board a wooden boat before it capsized close to the Port of Doha on Monday. None of the crew members sustained any injuries, Kuwait Fire Service Directorate said in a statement. However, one of the firefighters broke his arm during the rescue efforts.